In 1957, in Detroit, a red Plymouth Fury is built and is the cause of two accidents, one of them fatal, still in the assembly line. Twenty-one years later, the outcast and bullied nerd Arnold "Arnie" Cunningham is getting a ride with his best and only friend Dennis Guilder and he sees the wrecked car for sale in a garden. Arnie immediately falls in love with the car. The car was given the name Christine by it's first owner. He brings the car to a repair shop of the despicable Will Darnell and works hard to restore the classic car. While he works in the restoration, he changes his personality to a cocky teenager and he dates the most beautiful girl in the high-school, Leigh Cabot. 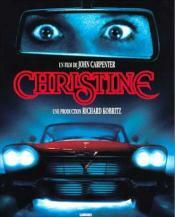 Soon Arnie becomes selfish and jealous of the supernatural Christine that kills everyone that is a threat to them. This page has been seen 16885 times.